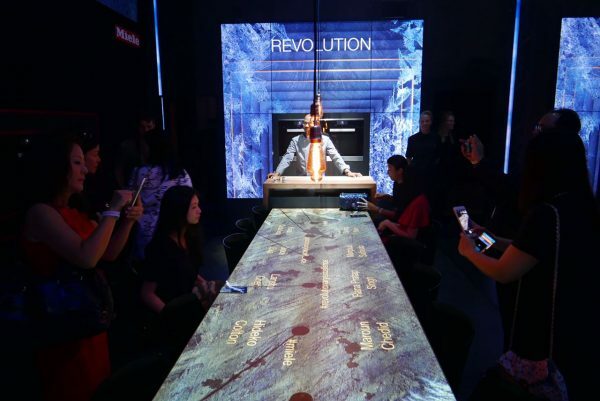 In this Miele event in Berlin, I was seated at the table called : REVOLUTION. 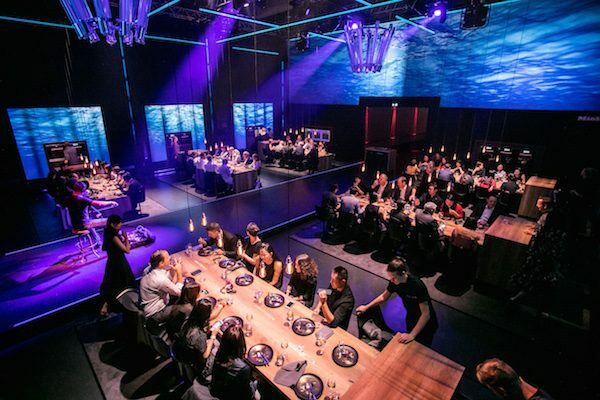 I was with the other delegates from Singapore led by Syndy Neo, Miele Managing Director, Evelyn Cheng, Regional Director for the World’s 50 Best Restaurants Awards aside from other renowned foodies and personalites from Singapore. 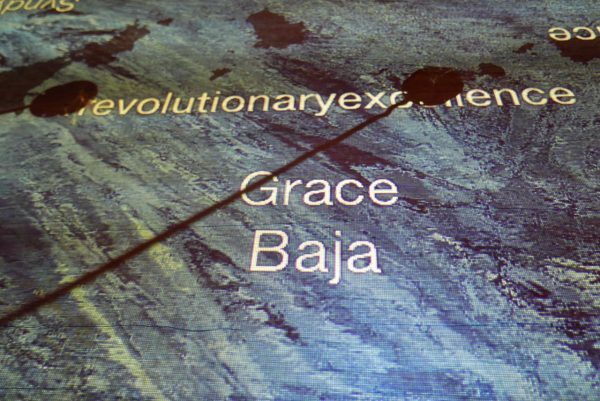 Just look at how innovative our place cards were : our names were flashed on the tables to mark our seats! 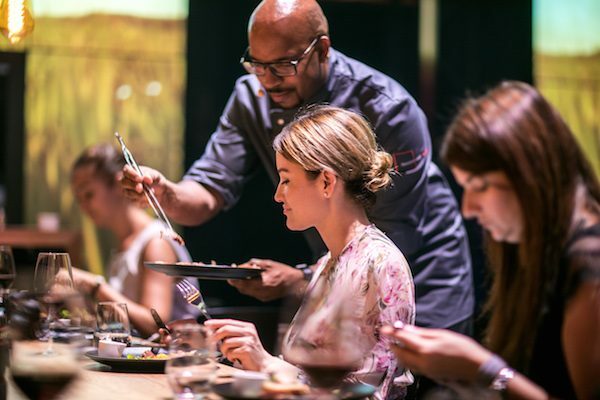 As soon as we were comfortably seated, our personal chefs started cooking our lunch with the Miele Oven that was right in front of our dining table. 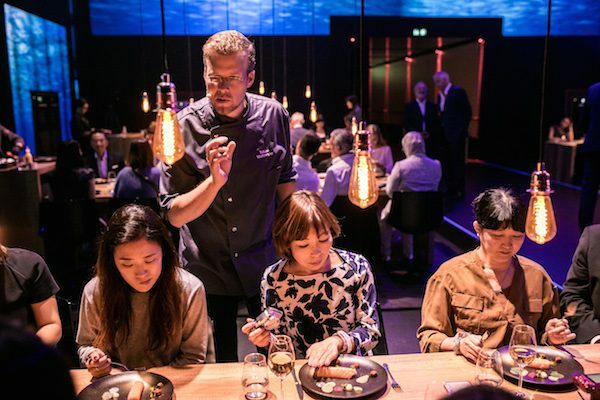 The first dish that was cooked with the Miele Oven was fish… but what’s important to note here was that the raw fish was placed inside a large ice cube that was then placed inside the hot oven! This led us to open our mouths wide with disbelief! 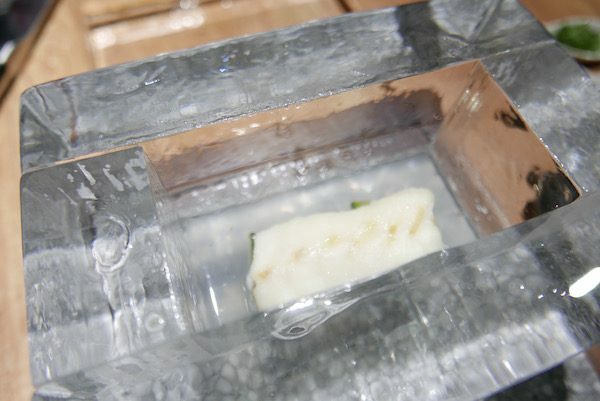 What kind of cooking technology can cook fish inside an ice cube, and inside a heated oven at that?!!! 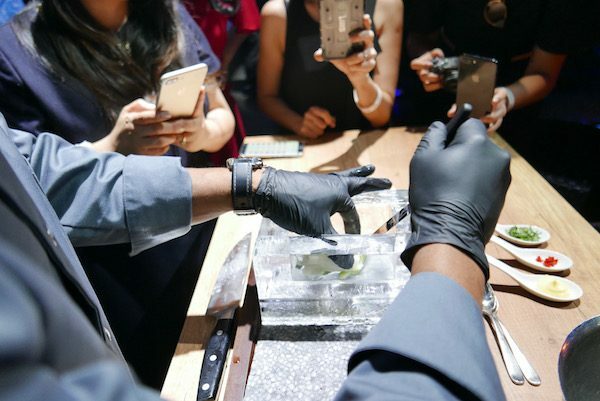 …and they opened the ice cube right in front of us and showed us that the fish inside is now cooked and steaming hot (!) 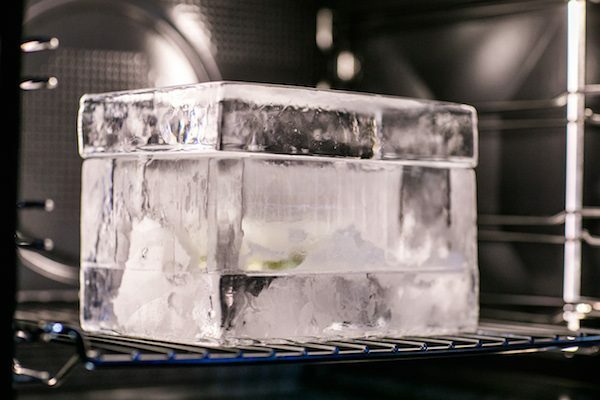 — while the ice remains perfectly intact, hard and frozen — as if it was not placed inside the hot oven at all! 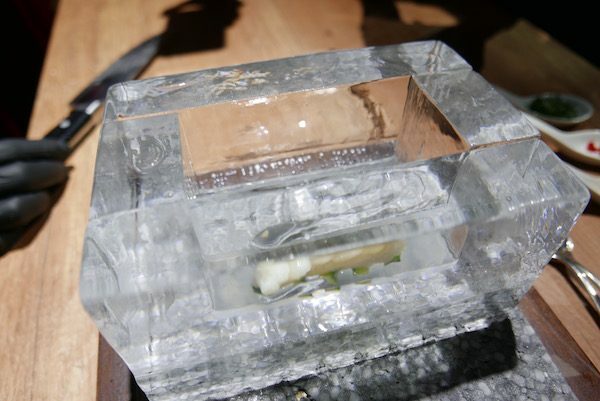 How can raw fish inside an ice cube cook inside a hot oven, while retaining the freezing temperature of the ice?!!! 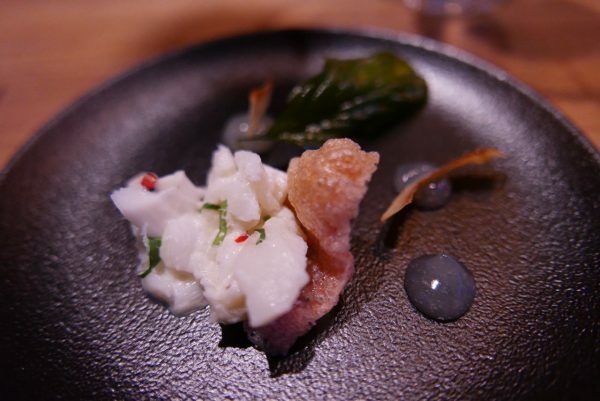 And before we knew it, our chef got a few herbs and spices, chopped it with the cooked white fish… and voila, served us our first course of the day! 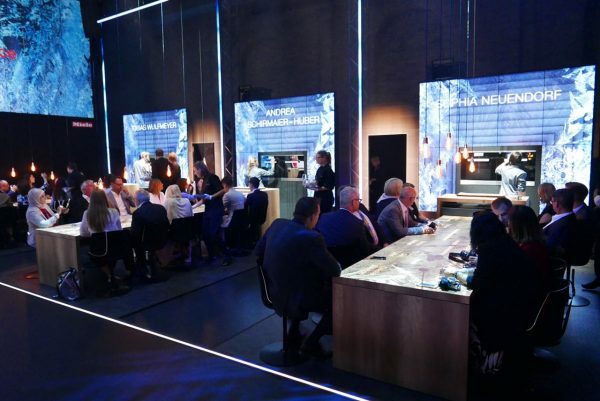 Ladies and gentlemen, this is the world’s smartest, most advanced and most revolutionary cooking oven : the Miele Dialog Oven! 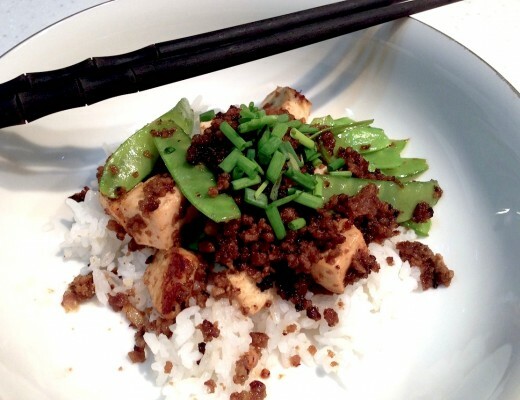 The time has now come to reinvent the way we cook! 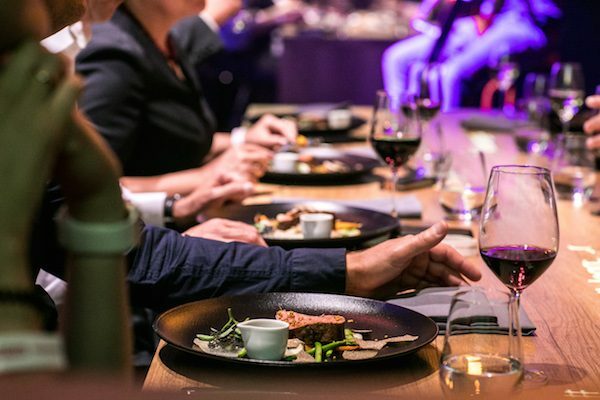 For the very first time, Miele uses a new and different kind of technology where electromagnetic waves respond to the texture of our food in a very intelligent manner. This is called “Volumetric Cooking”, which is very different from the usual traditional ovens we are used to — where heat goes from the outside of the item being cooked to the inside. 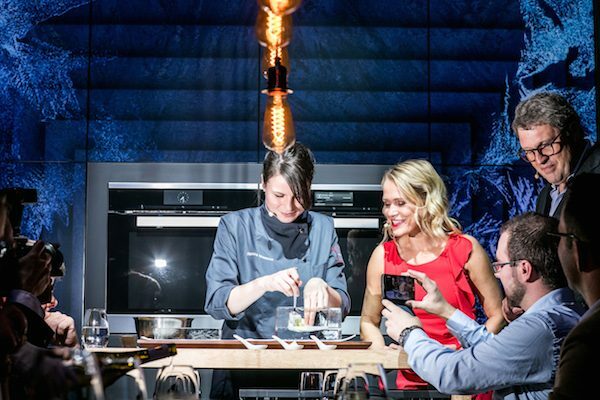 With the new Miele Dialog Oven, the heat actually penetrates the food being cooked from all over and all throughout! This means that the outer layers of our food will not melt or burn before the center or the inside is cooked! With this kind of advance technology, we can now cook without worry! No more surprises when we see that our food is already cooked outside only to find out that the inside is still raw or frozen! 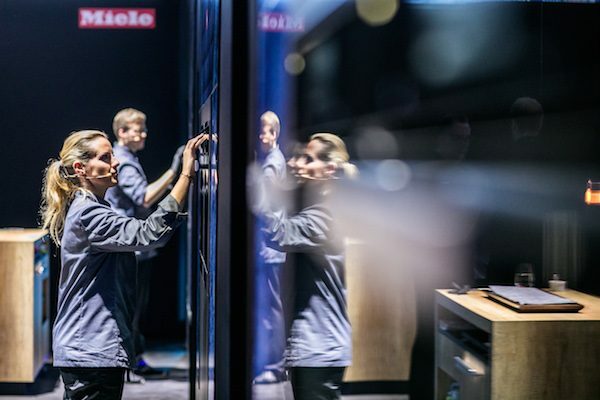 The Miele Dialog Oven thinks for us and answers all our needs even before we know it. This oven will cook our dishes in their entirety — all at the right time and at the right temperature. Now, that’s what we call REVOLUTIONARY COOKING! Now on to our second dish for the day… salmon fillet cooked in two ways. 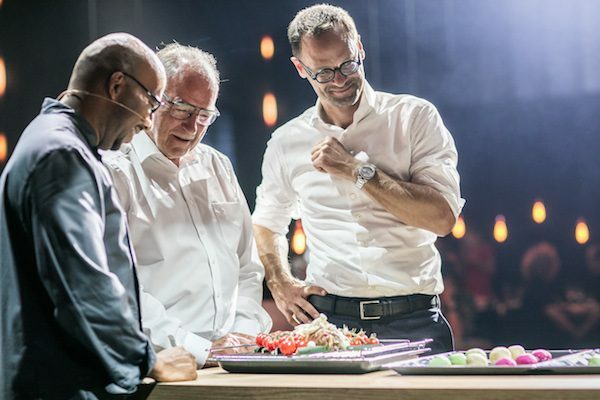 The chefs showed us how salmon fillets, half covered in foil, can be raw on one side and cooked on the other side, even though the whole fillet is placed inside the Miele Dialog Oven using one temperature. After a few minutes of cooking inside the oven, the salmon came out with the part wrapped in foil still raw but perfectly thawed and ready-to-eat in a ceviche-style manner, while the other half was fully cooked! 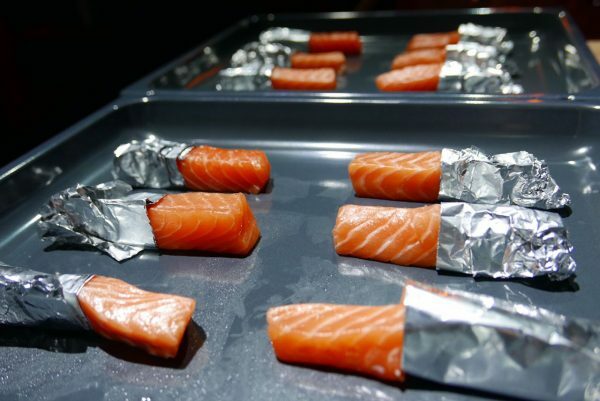 With the Miele Dialog Oven, we will never have overcooked fish outside with very raw (unedible) fish inside! Fresh seafood, meat and vegetables can now be put in one oven tray in one go — and still come out cooked to perfection at exactly the same time. This means we can now cook 70% faster than using our old conventional cooking methods! Now, that’s a lot of time saved! 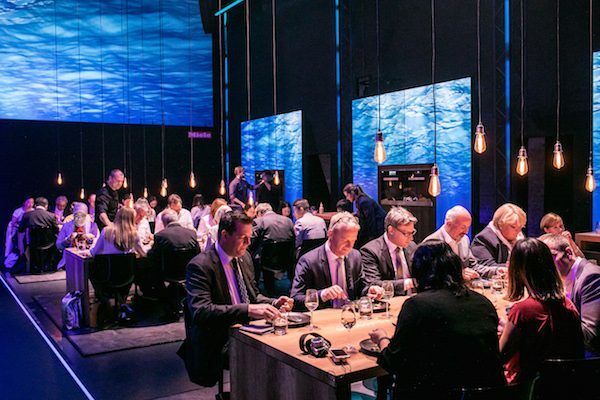 Just look at how the guests are enjoying their perfectly cooked salmon fillet. And notice the attention to detail and service by our personal chefs too! This is veal wrapped in hard beeswax. Again, this was placed to cook inside the Miele Dialog Oven. 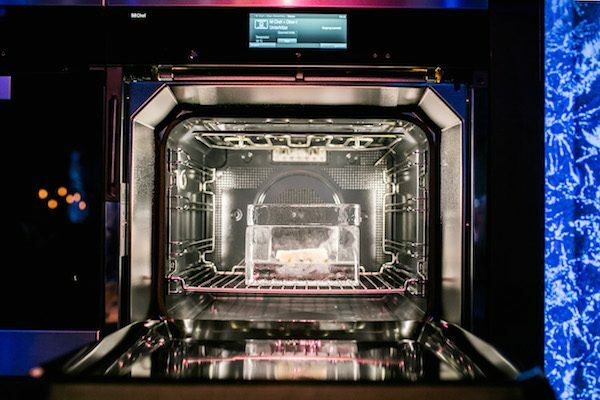 The Miele Dialog Oven is known as the smartest oven ever invented! Its intelligent antennae are the ones who do the “thinking” for us! The veal was placed inside the smart oven for a few minutes and then, out came the most tender and juicy veal tenderloin I’ve ever had! 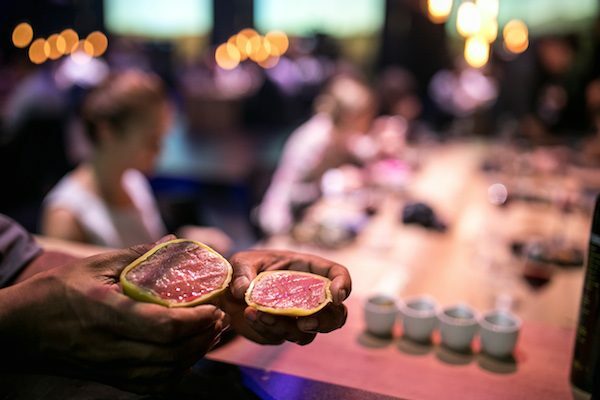 The meat eventhough was wrapped in hard beeswax was cooked uniformly while it retained its natural juices. 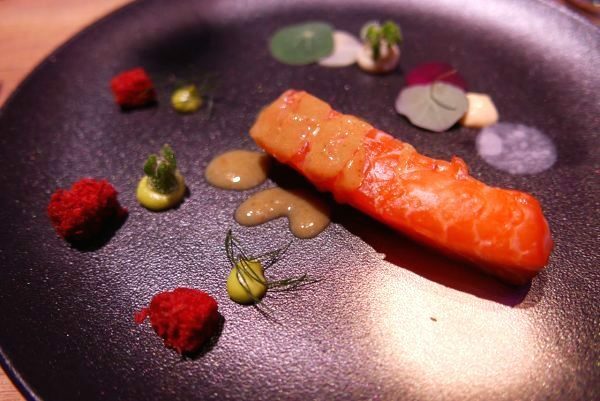 Surely, it would be impossible to cook this kind of dish in a conventional oven with such excellent results and in this short amount of time! 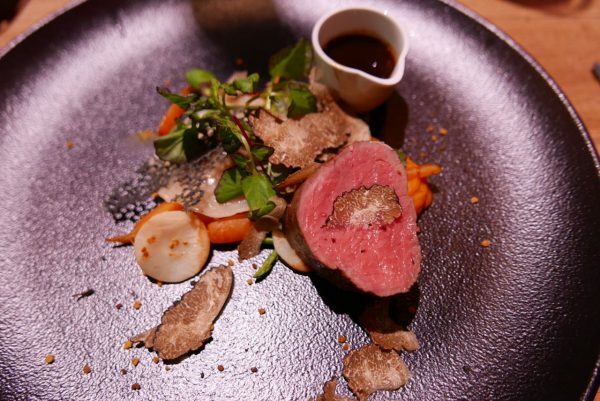 As we were about to enjoy our veal tenderloin, our personal chefs came to each one of us and shaved us some black truffles! What an amazing lunch presentation indeed! 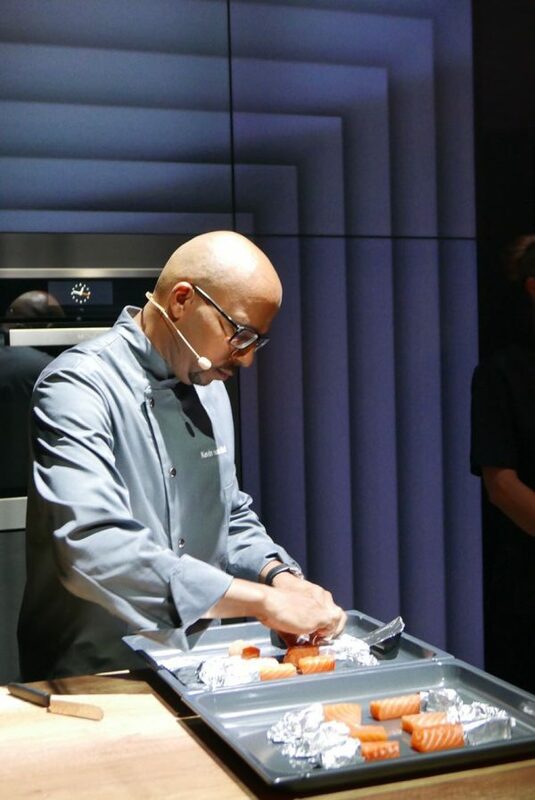 And I am grateful to be a part of this world premier of the latest in cooking technology! 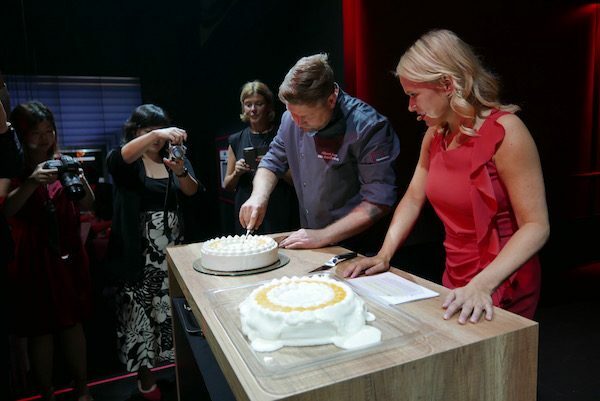 We were showed two frozen cakes — one was placed in a microwave oven to thaw while the other was placed in the Miele Dialog Oven. As expected, the one placed in the microwave melted and the one that came out of the Miele Dialog Oven came out just right! The cake on the left is the one that came out of the Miele Dialog Oven while the cake on the right was the one that came out of the microwave oven. See the big difference? One is perfectly thawed while the other one is so melted! 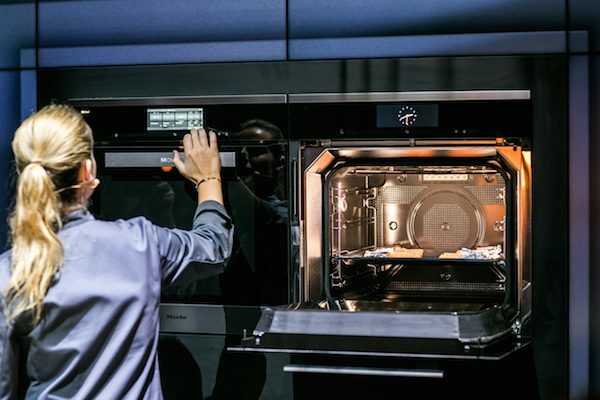 This shows you how the Miele Dialog Oven is so smart that it can determine the food that you placed inside, without risk of overcooking or melting it! 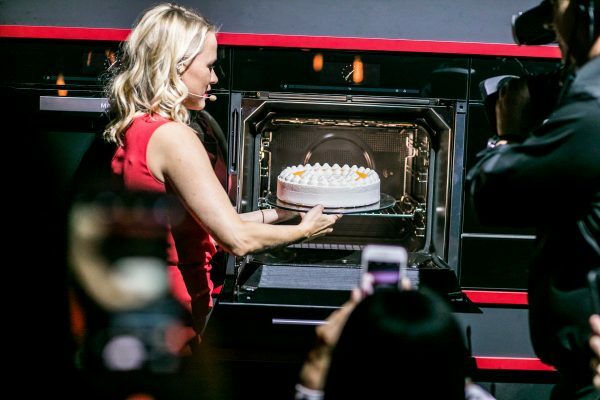 What I witnessed on this day is cutting-edge design and leading technology in our most often used (and more often than not, taken for granted) cooking appliance, the oven! And the way they presented and launched this product? AMAZING. 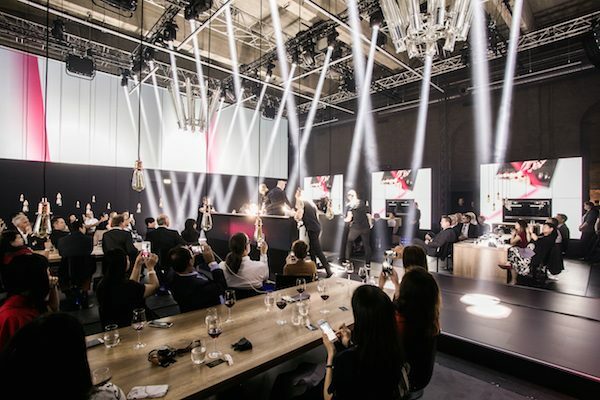 I can’t even begin to explain fully how the Miele team shocked all of us guests (who flew in from all over the world) with this spectacular and world-class presentation! 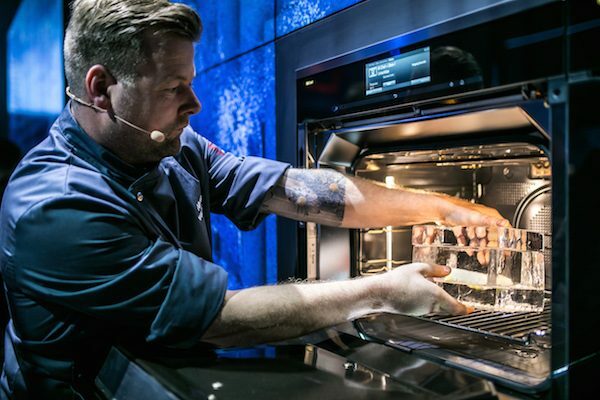 This world premiere of the Miele Dialog Oven has now set a new standard in cooking appliances. With the revolutionary M Chef technology, we can now cook with guaranteed excellent results – with easier preparation and less time! The Miele Dialog Oven reduces our cooking time by up to 70 percent – without compromising on our food’s quality. Now this amazing technology will not be complete without keeping up with our mobile lifestyle! Yes, you guessed it, the Miele Dialog Oven has an app of its own so you can control your cooking with just a single touch from your phone! With the Miele mobile app, you can conveniently check the state of your Dialog Oven, change important settings, and monitor the cooking process from your phone, from wherever you are! And then of course, the app has its own recipe function which will give you helpful how-to videos while cooking your food! How’s that for revolutionizing the cooking world?! 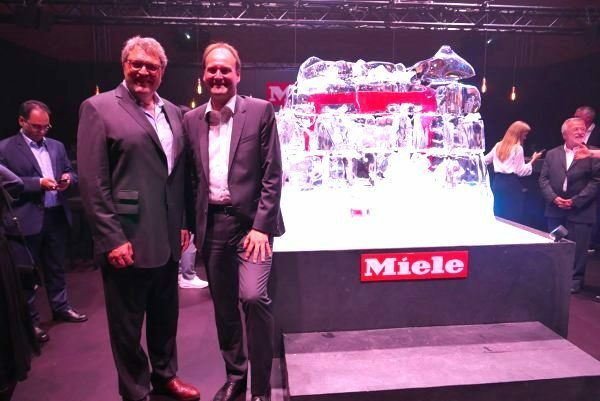 Congratulations to the whole Miele team — led by Dr. Reinhard Zinkann (Executive Director and Co-Proprietor) and Dr. Markus Miele (Executive Director and Co-Proprietor)! 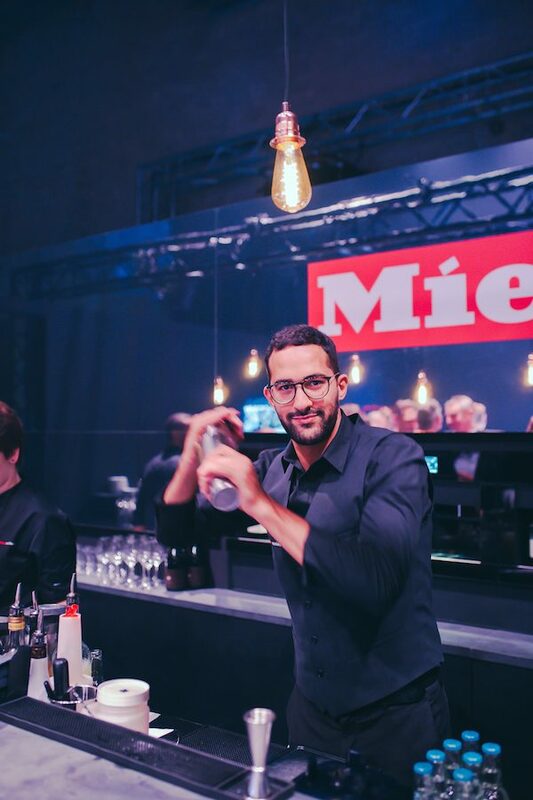 Thank you Miele for this amazing opportunity and for inviting me to experience this spectacular event in Berlin! This is truly one for the books! 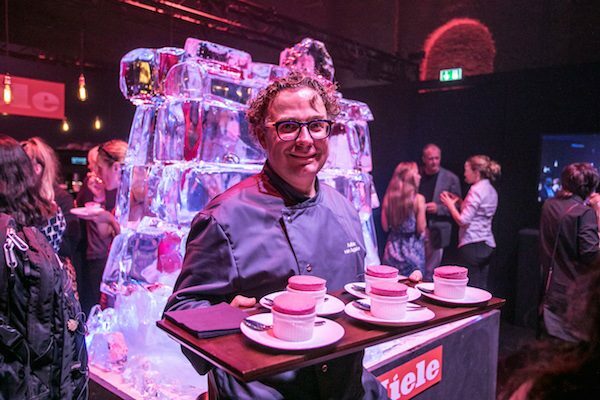 From lunch… to coffee to cocktails and to even more desserts at the event’s Miele Bar. What a wonderful way to end this wonderful afternoon in Berlin! To go back and read the first part of this event, click here. 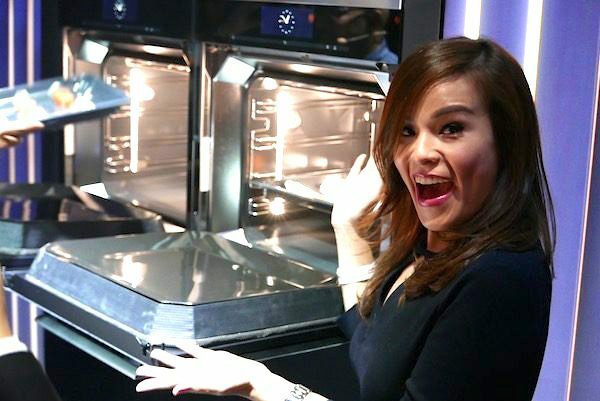 I am proud to be associated as the Brand Ambassador of Miele in the Philippines. 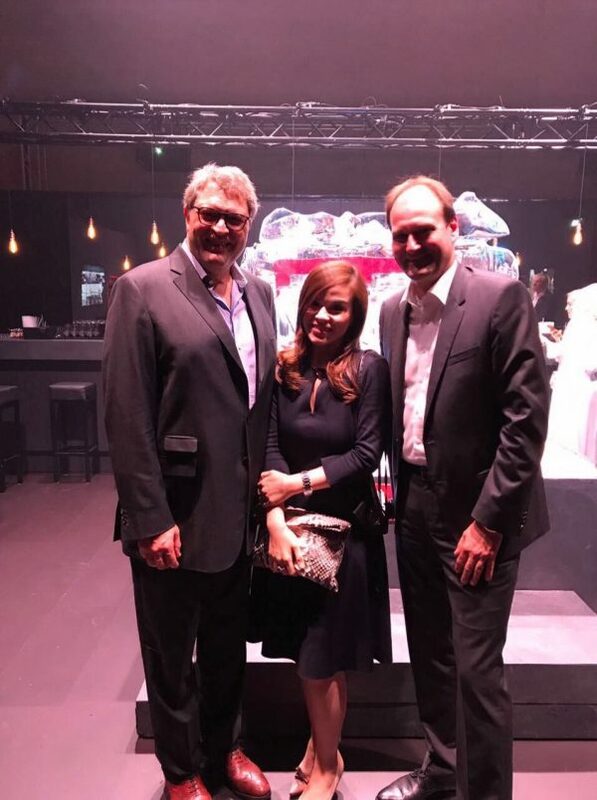 Read about my first event with them here. 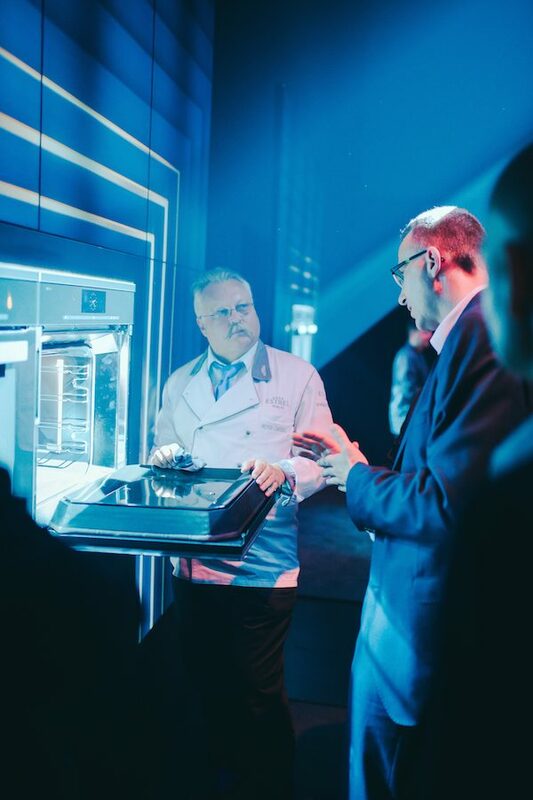 To find out more about this smart and revolutionary oven, click this link here.